Julayi Trio teaming up again. Trivikram who supposed to direct Ram Charan was shelved but Trivikram dates are with Julayi Producer Radha Krishna. 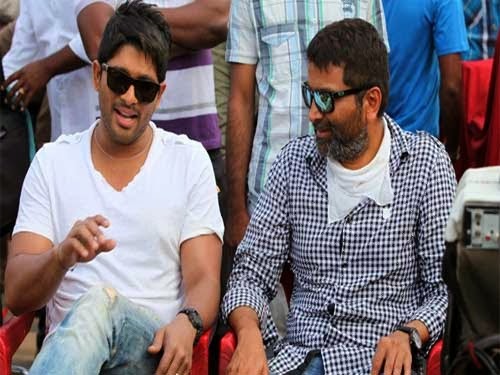 Now , S .Radha Krishna in talks with Allu Arjun for this project. According to our sources Allu Arjun interested to do this project.Probably this movie will start from December.Allu arjun agreed to to movie with Harish Shankar & Gopichand Malineni. With the latest developments Allu Arjun going to skip Harish Shankar & Gopichand movie will start soon. we know Trivikram on cloud nine with back to back hits. Trivikram busy in preparing script for this project later he moves to NTR project from June or July.